the finely engraved globe contains the position of 83 stars and their Persian names as well as the Persian names for the North and South Poles. 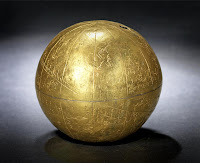 The only known dated example securely attributable to the Zand period, it is an important addition to the small surviving group of Persian celestial globes. The use of gold and the very fine script indicate the possibility that this globe was made for the Zand ruler Karim Khan (1751-1779). The Zand period is remarkable for its short length and high artistic productivity. Spanning only 44 years, and an incredible seven rulers, it was a period of relative peace and economic growth when many territories previously lost to the Ottomans were recaptured. The British established a trading post in the port of Bushehr, extending the influence of the British East India company in Iran. The art of this era is remarkable, producing a distinct school of painting, fine enamel work and calligraphy. Celestial globes were used primarily for solving problems in celestial astronomy. 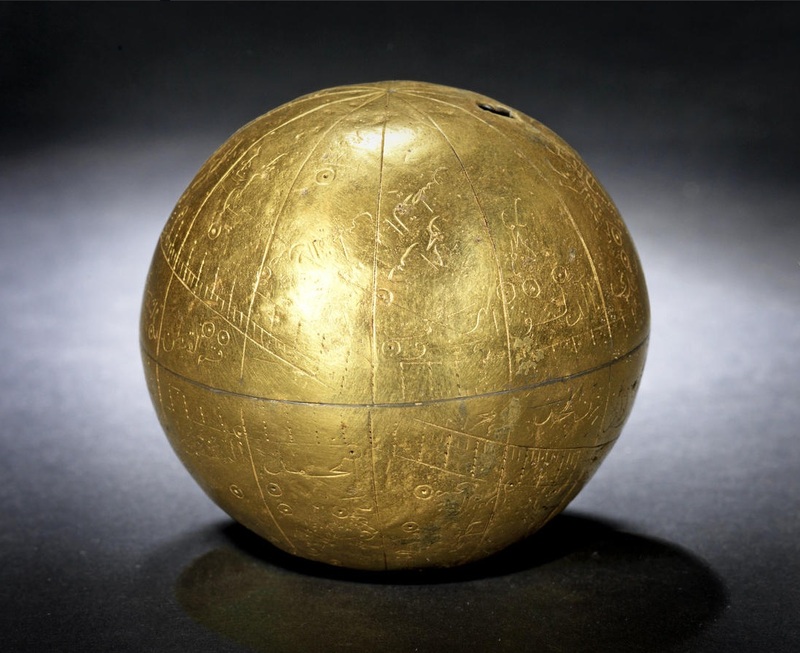 Although known to have been used in Antiquity, the form of the celestial globe came into being in the Islamic world. Only 200 instruments remain in private and museum collection worldwide, the earliest dating to the 11th century.